In a First Option Cloud hosting shared environment, a specific amount of DASD and interactive users are provided to load and access your application on a system that you share with other customers. Your application is secured using IBM i OS object level security. Many companies no longer want to own an IBM i/iSeries but do want to remain on the software they have been using for many years. Other companies have left their iSeries platform but need to "sunset" or archive their data for at least seven years. First Option's Cloud Hosting shared environment is a perfect alternative. Sharing the cost for services required for backups, system upgrades, and OS PTF installations. Sharing the cost for System i software support. Sharing the cost of tapes and hardware support on the tape drive. Sharing the cost of off site storage of backup media. Sharing the cost of rack space, power, and bandwidth. For more information please email sales@localhost. Or click to download our questionnaire, email it to pfuller@localhost and we will provide a quote within 24 hours. Are all Cloud hosting provider's the same? Each Cloud Hosting provider has their unique offerings and specialties. Some offer Tier levels so you may get in at different price points. Some are hardware vendors only and some are software providers as well. 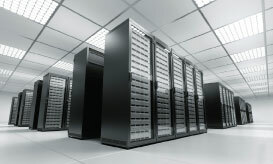 Each data center will be different and you want to pick a vendor that matches your particular needs and requirements. Pricing varies as well so make sure you are comparing apples to apples when looking at a quote. For example, number of interactive users, amount of disk, VPNs, and 24x7 monitoring. How often will backups be done, will they apply ptfs, do they utilize monitoring software in addition to a 24x7 NOC. What type of processor and how much memory will be available for your company?